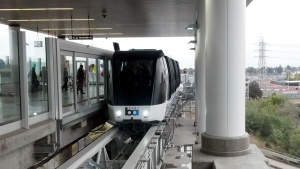 This is an automated train line serving Oakland International Airport (also known as Oakland Airport Connector, or BART to OAK) and operates daily throughout the BART service hours. Amtrak line and stations are in green. This page was last edited on 15 January 2019, at 20:04.